An RSS feed (or news feed) is a means by which you can stay informed about what's going on at Wollongong Harmony Chorus without having to regularly visit the website. 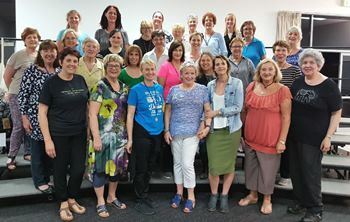 We are a group of women from the Illawarra and surrounds who get a buzz out of singing, and are dedicated to producing the ringing chords of 4-part a cappella harmony – and we have a great time along the way! Our Chorus is based in Wollongong a lovely regional city just 90 mins from Sydney. At the foot of the magnificent escarpment and with the Pacific Ocean on its doorstep, our hometown is surely one of the best kept secrets of the east coast. Do you love to sing? Join us for our eight-week Learn to Sing A Cappella course. Learn 'This Is Me' from The Greatest Showman and perform (if you'd like to) in our Family and Friends concert on May 9th. Click below for more information. Want Wollongong Harmony Chorus to sing at your next function? 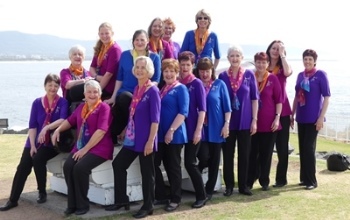 Why not hire Wollongong Harmony Chorus to entertain at your next event? We can perform at corporate functions, charity events, community Entertainment events, birthday parties, christmas parties, awards nights, weddings, engagements, anniversaries, engagements, and even funerals and memorial services.